I've recently brought a tikka t3 in 7 08 , and after taking it to the range , seem to have a problem . 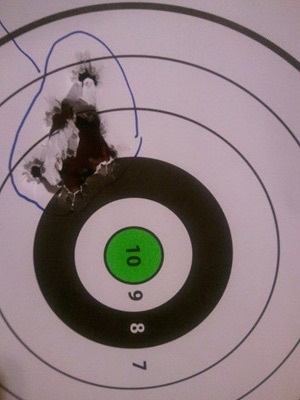 It is shooting a nice group at 100 , but consistantly seems to be shooting to the left . I was wondering if i should get a gunsmith to remove the barrel , flip it over , then reinstall it . Would this bring it back into alignment ,or should i file the inside of the barrel toward the right side so the bullets will travel further right ? 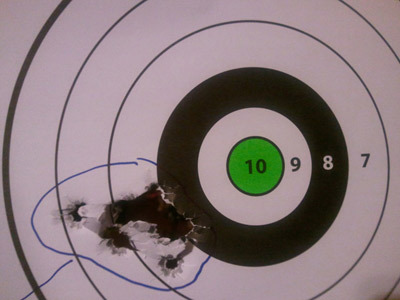 I've already tried moving the target over to the left hoping i would hit the bullseye , but had the same results . Brian, gadgetman, GravelBen and 3 others like this. change your coffee shop...they seem to be slipping you a dodgy latte....it might even be a de-cafe soy version. ANOTHERHUNTER and Boaraxa like this. Oh nice mate, you must have one of the flash new models that have that trick feature that automatically compensates for spin drift at distance, sweet! 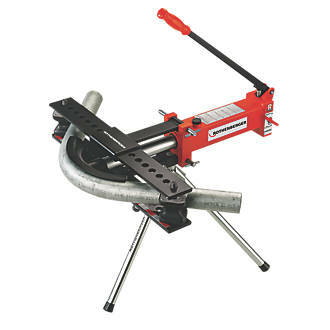 7mmsaum and chainsaw like this. 7mmsaum, wsm junkie, Barefoot and 4 others like this. You'll probably find you bought left-handed ammo by mistake. Read the packet carefully. wsm junkie, GWH, GravelBen and 8 others like this. chainsaw and Boaraxa like this. I'm in favour for filing the end of the barrel so the bullets go to the right, that should work. I have not laughed so much in a long time. Try holding it sideways like in the movies. ANOTHERHUNTER, chainsaw and Max Headroom like this. Its the northern hemisphere model. Horseshit. Keep your 7mm08 the way it is, keep drinking your lattes. File the right hand side off the tip of each round and the asymmetric drag will compensate. Back off your neck size die a 1/4 turn, your obviously bumping the shoulder and causing neck eccentricity and by shear fluke you've loaded them all the same way in the mag.